A month ago, on International Women’s Day, 24 Massachusetts breweries participated in a special Pink Boots Collaboration Brew Day. The idea was to promote awareness of women’s roles within the craft beer industry. Now, through the magic of fermentation, you can show your support for those women by drinking their brews. You’ll have to pay for them of course, but a portion of the proceeds will go to support Pink Boots brewing scholarships so it should qualify as a tax write-off, right? Anyways, here’s what the 24 participants brewed last month, and below is a run down of where you can drink it. Draft pours and can sales of Night Shift’s St. Hildegarde are currently available in their taproom, with Lordeship, it’s second Pink boots beer, set to be released this Friday. They also plan to send a few kegs of each to some of the upcoming tap takeovers listed below. Big Elm released its Hoppy Amber Ale in 4-packs of 16-ounce cans last Friday. It’s also available for pours at their Sheffield taproom. Trillium is currently filling growlers of their “Women at Work” Double IPA, which will also be pouring at a Row 34 tap takeover on the 19th. 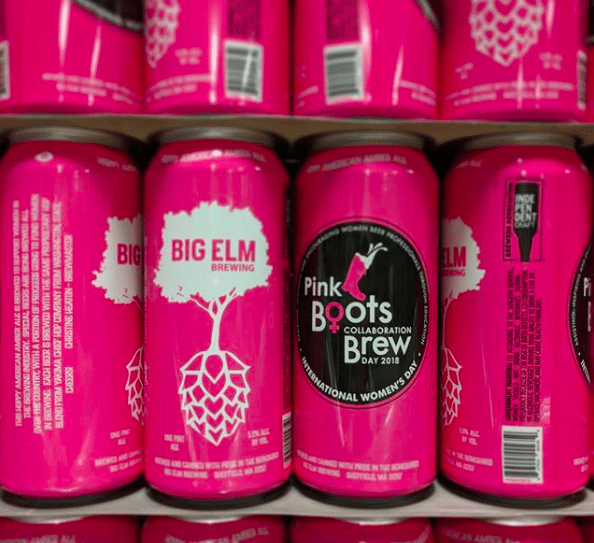 A very limited can release of the Exhibit ‘A’ Pink Boots beer will be distributed to select retailers across the state, but you can also pull up a stool at their Framingham taproom and get a pint. 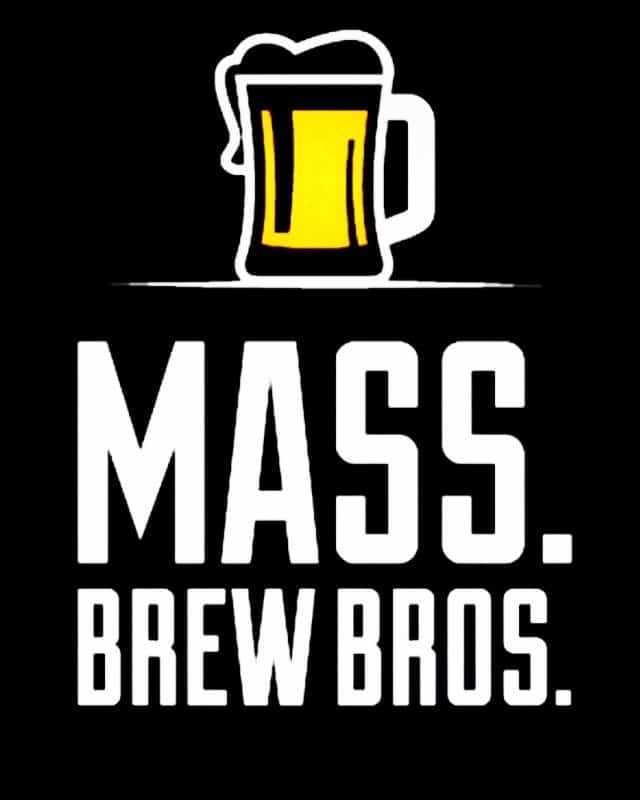 They also plan to pour it at tap takeover events at Row 34 in Boston on the 19th and the Foundry in Northampton on April 26th. True North Ales has been pouring Princess Peach NE IPA at their taproom in Ipswich and it’s been very popular. It will be also be offered at The Boathouse in Essex as part of a beer pairing dinner on May 8th. Wormtown’s Session IPA, part of its Hopular Culture Series, is currently available in their Worcester taproom. It won’t be available for distribution, but they do plan to take part in a tap takeover at Rail Trail Flatbread in Hudson. No details on the event just yet. HADU White IPA, “a tribute to female badass-ity,” is currently flowing at the Craft Roots taproom in Milford. Also currently pouring pints in its taprooms are Everett’s Bone Up and its Big Boots Dark Saison, and Somerville’s Aeronaut and its Pink Boots Brew DIPA. Harpoon put its Pink Boots Raspberry Milkshake IPA on tap today at the South Boston Beer Hall. Brew Practitioners is tapping its Pink Boots ESB this Friday at the Brewery and will have a keg on at The Taproom in Hadley. Cape Cod Beer will also start pouring tastes and pints of it’s Hoppy Pink Boots Pale Ale at its Hyanis taproom on Friday. It will be accompanied by their Live Music Series featuring female singer/songwriters. 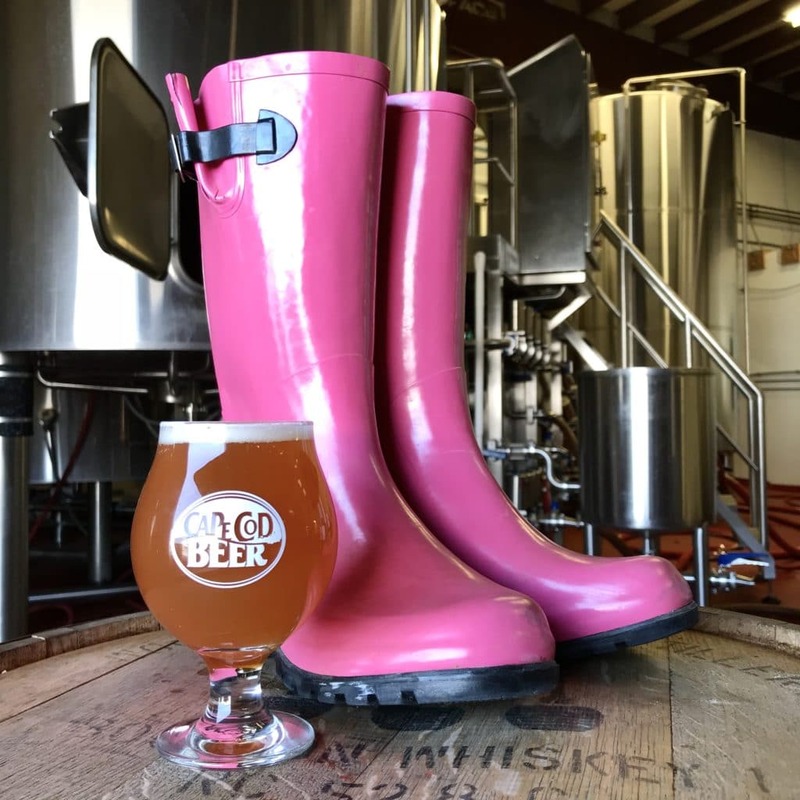 Cape Cod Beer is one of more than a dozen local breweries debuting their Pink Boots beers this week. Also on Friday, Sam Adams will debut their International Women’s Day Brew, The Real Alewives of Boston. A juicy double IPA that’s as bold as the Samuel Adams ladies who brewed it, their ticketed release event will feature live music, food from Brewing the American Dream female entrepreneurs, and plenty of DIPA. The Jack’s Abby beer release event will be at their Framingham taproom on April 11th. If you can’t make it, a limited amount will be distributed in cans, and kegs will be out at select beer bars like Volturno’s in Framingham, Red Bones in Somerville, and Row 34 in Boston. In addition to the individual breweries, a number of noted beer bars are hosting tap takeover events. Below is what we know of so far. True North – “Princess Peach” Hazy New England Pale Ale Fermented with Peaches.